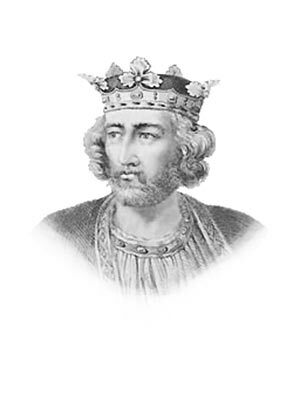 Edward was the son of King Henry III. Edward returned from the Holy Land when his father died. He faithfully obeyed Magna Carta. Order was the great thing he cared for, and under him the English grew prosperous. The Welsh were beaten into submission due to his strategy of building huge concentric castles. Ever since that time, the eldest son of the King of England has always been given the title of the Prince of Wales. The Kings of Scotland always used to pay homage to those of England. King Edward ruled that John Balliol had the best right to be King. The Scots rebelled against the interference of King Edward I and Edward led his army into Scotland. John Balliol was made prisoner and sent away to France. Edward fought to join Scotland to England, and rule it himself. William Wallace led a Scottish rebellion against Edward I . There was a great fight at the Bridge of Stirling; the English were beaten, and Wallace led his men over the border into Northumberland, where they plundered and burnt wherever they went, in revenge for what had been done in Scotland. Edward gathered his forces and came to Scotland. The army that Wallace had drawn together could not stand before him, but was defeated at Falkirk. William Wallace was betrayed by one of his own countrymen, Wallace was sent to London, and put to death. All seemed quieted, and English garrisons--that is, guarding soldiers --were in all the Scottish towns and castles, when, suddenly, Robert Bruce then went to Scone and had been crowned King of Scotland. Edward was bitterly angry now. He sent on an army to deal unsparingly with the rising which was called'Harrying of the North'. Cruel action was taken at the places where Robert Bruce had been acknowledged as king, and his friends were hung as traitors wherever they were found; but Bruce himself could not be caught. He was living a wild life among the lakes and hills; and Edward, who was an old man now, had been taken so ill at Carlisle, that he could not come on to keep his own strict rule among his men. All the winter he lay sick there; and in the spring he heard that Robert the Bruce, whom he thought quite crushed, had suddenly burst upon the English, defeated them, and was gathering strength every day. Edward put on his armor and set out for Scotland; but at Burgh-on- the-Sands his illness came on again, and he died there at seventy years old. He was buried in Westminster Abbey, under a great block of stone, and the inscription on it only says, "Edward I., 1308 - The Hammer of the Scots - Keep Treaties." His wife, Queen Eleanor, had died many years before him, and was also buried at Westminster. All the way from Grantham, in Lincolnshire--where she died--to London, Edward set up a beautiful stone cross wherever her body rested for the night-- fifteen of them--but only three are left standing. Some interesting facts and short biography information about the History, Life & Times of King Edward I. Additional details, facts, history and information about the famous Medieval Kings of the Middle Ages and important events during their times can be accessed via the Middle Ages Sitemap and the section detailing the life and times of the Kings of the Middle Ages.